Finger Fresco is an interactive installation using FingerWorks iGesture multitouch pads. Multitouch refers to the ability to detect multiple fingers independently and simultaneously. 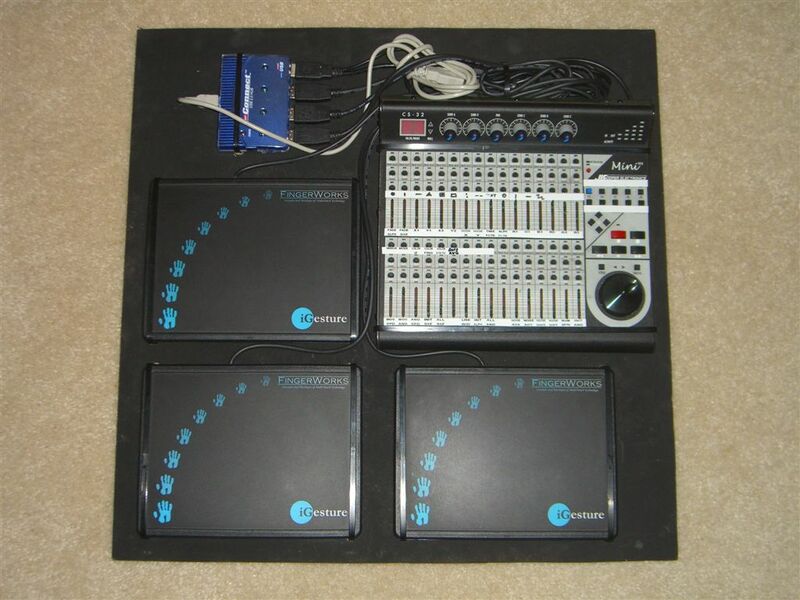 The installation lets people use three of these pads to generate and manipulate graphics, music, and realtime camera images, all simultaneously. 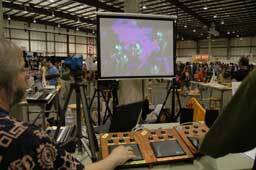 It was first demonstrated at Maker Faire 2007, and then a few weeks later at Electro-Music 2007. I developed the software primarily in ActionScript 3 (Flash 9), with a little Python and KeyKit on the side. 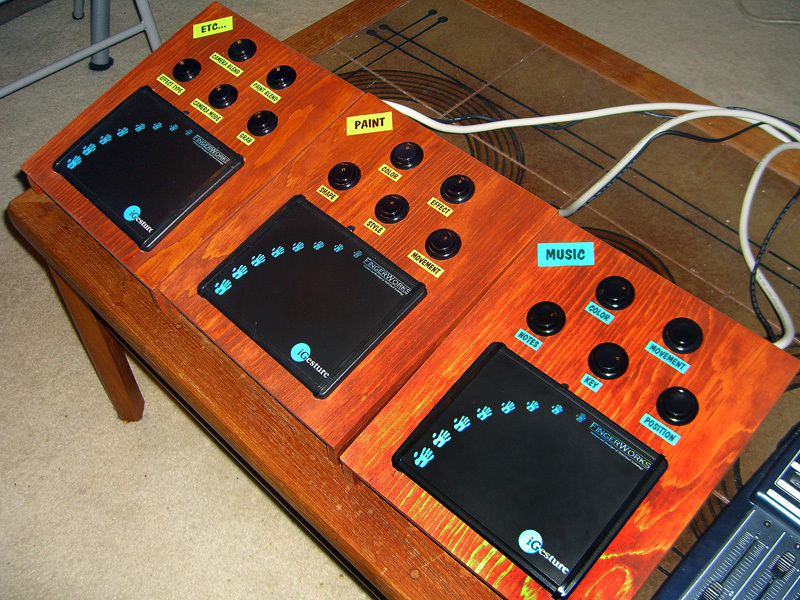 The cases I built include arcade buttons (connected to a hacked Behringer BCF-2000) which allow people to adjust a few parameters of the generated music/graphics/pictures. Here's some documentation on the software and hardware behind Finger Fresco. To the left is a picture of Finger Fresco at Maker Faire 2007, and to the right is a video clip showing people playing with it at the Faire. The first part of the clip shows the manipulation of realtime camera images (taken by a webcam on a tripod next to the pads). After panning to show the people who are using the pads, the clip then pans back to the projector screen, showing the abstract graphics that are being generated at that point.